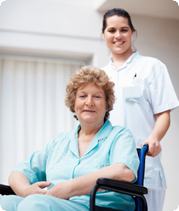 In addition to our home care services, A-1 Home Care also offers hospital sitters to watch over your loved one. Whether it’s your child in the hospital or your Elderly and Terminally Ill loved one, our hospital sitters can provide compassionate personal care for as long as necessary. Just let us know the reason for your loved one’s hospitalization. 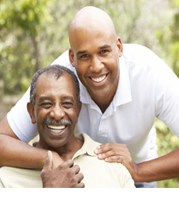 If they had a surgery, are being treating for an illness, or are hospice patients, we can find you a compatible caregiver who has experience for your specific care situation. We offer hospital sitters for hourly part-time care or 24 hour live-in care. 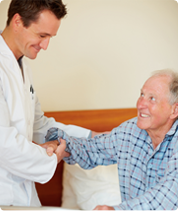 A-1 Home Care specializes in Elder Care services such as Alzheimer’s & Dementia Care, Parkinson Care, Arthritis Care, Diabetic Care, Cancer Care, Incontinence Care, and Hospice Care, however we also offer After Surgery Care, Child Care, Special Needs Care, and Postpartum Care. A-1 Home Care serves the communities of Costa Mesa, Irvine, Garden Grove, Westminster, Corona Del Mar, Newport Beach, Huntington Beach, Seal Beach, Los Alamitos, and others in Orange County and Los Angeles County. 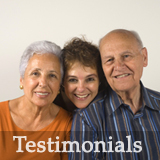 We have been in business since 1991 with an A+ Rating from the Better Business Bureau, Shield Accreditation, and memberships with the National Care Planning Council and Chamber of Commerce for Newport Beach, Santa Fe Springs, Pasadena, and Torrance. If your loved one has long-term insurance coverage, we accept Penn Treaty, John Hancock, Bankers’ Life & Casualty, MetLife Insurance, CALPERS, and Veteran Administration. To interview and hire a compatible hospital sitter in your area today, CALL us at 949-650-3800.